Admittedly I'm an old stick in the mud and admittedly there are times when technology and "social media" drive me absolutely insane. Having said that I've found that Twitter represents quite a good vehicle to get a point out without it being too much of a hassle. And it helps that "tweets" are only a short length. ie. no drawing out a conversation or filling required. Simply say what you want, job done. Hence whilst we'll still provide occasional news updates, when we're looking for law firms to handle new cases I'll simply put our needs on Twitter. 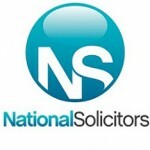 Therefore for any law firm looking for new work please follow us on Twitter and we'll put new opportunities on the site. So far today there's been a Divorce matter in Batley & a Commercial lawyer needed for a client in Eastbourne. Where we have lawyers in place we wont "tweet" the opportunities and will simply forward them on. We're building more generic sites so hopefully the number of enquiries we can forward will only increase. To follow us on Twitter, and we'll return the favour, please head to the Twitter link below.